Hawaii State Statutes require the Association to know who is staying in our units and what vehicles are on property at all times. Because some individual owners occasionally choose to rent their units or make them available to family and other guests, we have found it necessary to have certain regulations in place to insure the guests occupying those units are aware of our house rules and regulations. The information that follows is presented as a courtesy to these owners and their guests. We don't claim to be the final authority but we do hope to clarify the process and present check lists and links to various forms to help you comply with state and local regulations. Remember, once you decide to open your Maui home to family, friends, vacation or long-term guests, yours is the final responsibility. Use this only as a guide. Did you know that the State of Hawaii requires you to obtain a Business License before you can rent your apartment? 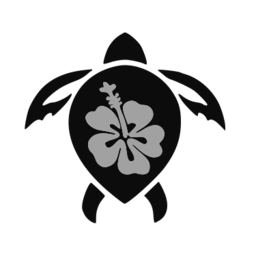 In addition to paying income tax on your earnings, Hawaii also requires you to pay and file Transient Accommodation Tax (TA-1) and General Excise Tax (G45) forms at least yearly (how often depends on how large your income from rentals is). Become familiar with all the rules. Your guests will be expected to comply with them as well. In particular you will want to become acquainted with Section B: TEMPORARY OCCUPANCY/RENTALS) which states in part that "The Ekahi AOAO is not involved with rental activity. We do not maintain a rental or activity office on site or anywhere else. The office in 18B is strictly our business office and is limited to use by our owners. There are all sorts of ways to manage your rentals. Some owners use management companies (in this case it would be their responsibility to handle the reporting and notification requirements we list later). Other owners use a booking company (they provide help finding renters and collecting money but don't do much more) or even just rent on their own. Whether you rent a lot or a little, chances are, you won't be on island while your unit is being rented. We need an on island contact for your unit in case of emergency or to talk with if guests are causing problems to others. This person is called your AGENT. You need to register the Agent with our office. You can do that on line in the Owners Update Info, section (you must be registered with website to access it), download (or ask the office for) our Apartment Rental Information Form. Besides helping us out, your AGENT must also be available to your guests should they become locked out or have questions or problems with the unit. The AGENT, not the office, should be the one to help your guests so be sure they have your AGENT's contact info. It's a good idea to provide the AGENT's phone number somewhere on the exterior of your unit (inside the screen door is one suggestion) - That way your renter/guest will have the info needed to contact the appropriate person in case they are locked out. If you rent on your own or with a booking agent, you will also need to line up reliable cleaning and maintenance help. Check with your insurance agent to see if you have special needs. Arrange for Guest Access to your Apartment: If your management company or booking agent does not have a local registration desk, you need to make arrangements to get your guest/renter into your unit. The Association does not provide Key Service or Lock-Out Service. Notify Maui County if your tax category changes On Maui your tax rate is determined by the use of the property so your rate will often go up if you rent. Read this Propter Tax info information on our site and then check the County's Property Tax Rates. (Remember it is your responsibility to register the occupants of your apartment (overnight guests, renters, even you). To be filled out & submitted to office (includes agent, contact info, unit #s, etc). You must be a registered owner to use the online "Member Info Update" form. Click here to register. To be filled out & submitted to office. Must be resubmitted within 60 days of a status change... f example, if the unit is no longer rented, if it is sold, if the address changes or if your local contact information changes. It would be appreciated if with your rental confirmation documents you include information on your AGENT, our House Rules and the fact that the office is not an Activity or Rental Desk and that your AGENT is the one to contact with questions, problems. AOAO Rental Check List: A good overview of the steps you need to take to be in compliance with AOAO and State Guest/Rental requirements. Basically an outline of this page. 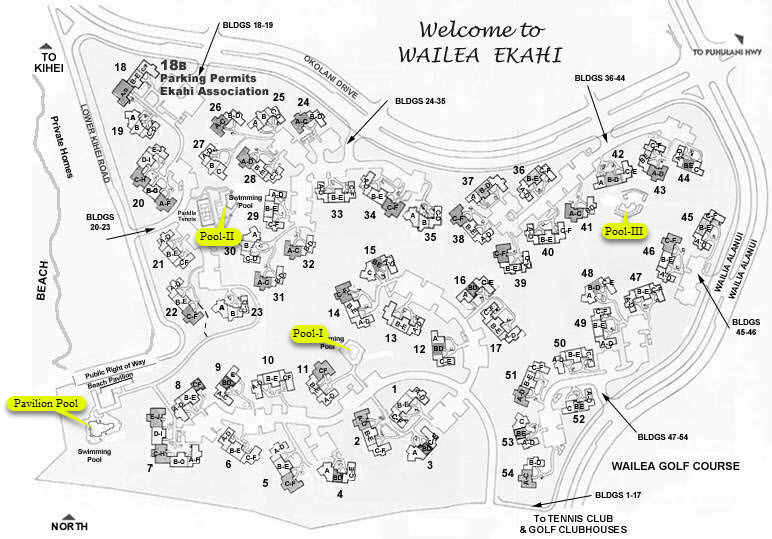 Parking permits, either permanent or temporary, are required for all vehicles that are parked overnight and they may be obtained from the Ekahi Office or, in some cases, directly from a Rental Agent. Vehicles parked overnight without an appropriate permit may be towed away and stored at the expense of the vehicle operator or owner. Temporary permits shall be placed on the dashboard or the review mirror or where they are clearly visible. Permanent permits are to be affixed to the rear bumper of the vehicle. We'll add info here as it becomes available and it is approved by the Board for publication. Copyright 2019, Wailea Ekahi AOAO. All rights reserved.